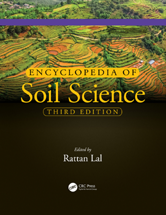 A definitive guide designed for both coursework and self-study, this latest version describes every branch of soil science and delves into trans-disciplinary issues that focus on inter-connectivity or the nexus approach. Carbon Sequestration: Semiarid Regions of India / Cherukumalli Srinivasa Rao, Sumanta Kundu, and Srinivas K.
Quality: Carbon and Nitrogen Gases / Philippe Rochette, Reynald Lemke, and Sean McGinn. Rare Earth Elements / Zhengyi Hu, Gerd Sparovek, Silvia H. Haneklaus, and Ewald Schnug.